Of the three million wisdom tooth extractions that occur each year, the majority of the patients are under the age of 25, and most leave with prescription opioids to manage pain associated with the surgery. This can have serious consequences over time. A 2018 study published by the Journal of American Medical Association found that dental clinicians are often a source of initial opioid exposure—and subsequent misuse—among adolescents and young adults. In this study, adolescents who received their first opioid prescription from a dentist had a statistically significant 6.8% absolute risk increase in persistent opioid use. 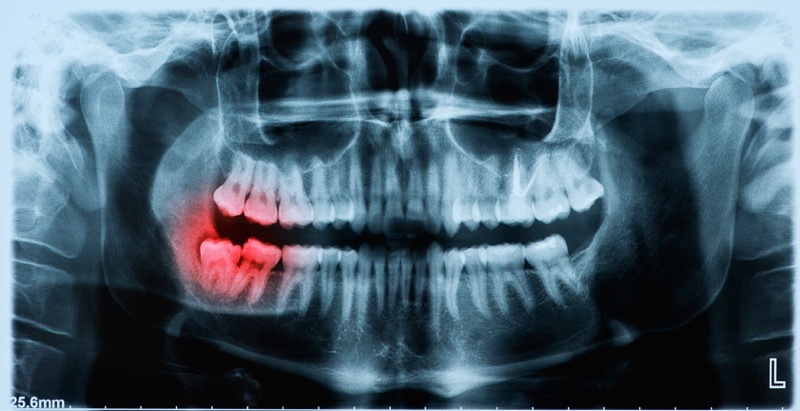 – Two-thirds of all patients receiving opioids for wisdom tooth removal are 14-24 years old, and therefore at higher risk of developing a substance use disorder. – There is wide variation in the amount of opioids prescribed post-operatively. – Some of the prescription is often left unused and therefore available for subsequent misuse. In addition to concerns about extra pills leading to misuse, having too much of an opioid prescription and using it as needed for pain can mask an underlying problem, such as infection or impaction. Dr. Vincent Benivegna, a hospital-trained oral and maxillofacial surgeon in Michigan, is trying to do his part to reduce opioid prescriptions after dental procedures. After the American Association of Oral and Maxillofacial Surgeons (AAOMS) recommended against prescribing opioids following oral procedures if possible, Benivegna took steps to reduce the number of opioids prescribed to patients. In line with Benivegna’s observations, for many patients, NSAIDs are a better way to control the pain of a wisdom tooth extraction. Research shows that a combination of ibuprofen and acetaminophen works better than opioids after wisdom teeth surgeries. Although opioids do treat severe acute pain, they do not have anti-inflammatory properties. Best pain relief results are actually seen from a combination of NSAIDs and acetaminophen around the clock, for as many days as necessary. – Dentists should follow and continually review Centers for Disease Control and state licensing board recommendations for safe opioid prescribing. – Dentists should have a discussion with patients regarding their responsibilities for preventing misuse, abuse, storage and disposal of prescription opioids. – Dentists should consider nonsteroidal anti-inflammatory analgesics as the first-line therapy for acute pain management. According to CDC guidelines, for the treatment of acute pain, a three-day opioid prescription is often sufficient; more than seven days is rarely needed. The ADA recommends that dentists and oral surgeons prescribe in line with this guidance. Fortunately, dental prescribing habits have changed for the better over time. In the late 1990s, dentists were accountable for 15.5% of all immediate-release opioid prescriptions. Since then, the overall percentage of opioid prescriptions that dentists now provide has dropped considerably (to 6.4% in 2012). However, it is still common practice for dentists and oral surgeons to prescribe opioids to adolescents after a wisdom tooth extraction. Although dentists and oral surgeons are not singularly responsible for the decades of opioid-related harms our country has experienced, they are in a position to make simple changes to their prescribing habits that can have a significant impact on young people’s opioid use over time. Like all of us, dentists have a role to play. Abigail Bartus, MPH, CPH, is a Communication and Health Promotion Associate at IRETA. 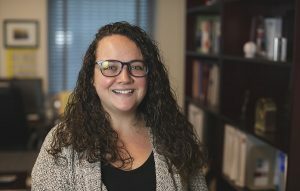 She manages IRETA’s Prescriber Education Initiative, which offers trainings for physicians and allied health professionals on safer opioid prescribing, addressing substance use in health settings, and the use of the Pennsylvania Prescription Drug Monitoring Program.